Red Ovenbird are amazing construction birds, and their name comes from their peculiar nest which looks like a small oven. They are one of the biggest South American bird species, but not much is known about their lifestyle. Red Ovenbirds are also known for their beautiful singing, which can be heard all year round. They usually live in pairs, although they don’t always stay together for all their lives. Although the Red Ovenbird is quite cautious by nature, they have become used to human presence and they often nest very close to human houses, and sometimes even in cities. If no proper trees are in the area, they will sometimes build nests under roofs or on fences. 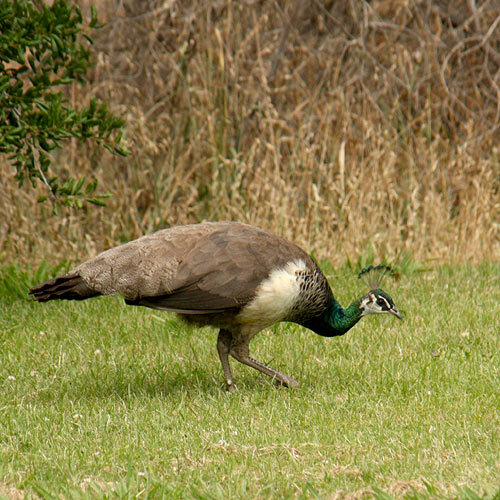 They’re frequently seen in city parks, where they search for food and entertain people with their singing. Red Ovenbird has a rather ordinary and dim feathering. 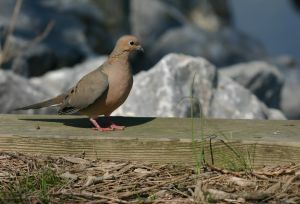 The back and wings are chestnut, while the chest is sandy. On average, they reach a size of 19-20,5 cm and weigh as little as 18-49 g. They are active during the day, spending most of the time on the ground, looking for food. At night they sleep, hidden in trees. Red Ovenbirds sing multiple times a day, at random intervals. Like many other garden birds, the Ovenbird pecks food out of soil. Every day they choose a small area that they keep patrolling for multiple hours, catching small bugs, larvae, spiders and worms. They prefer walking, not flying and they spend most of their time on the ground. 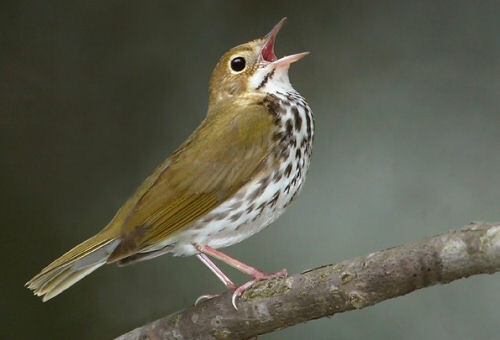 If possible, the Ovenbirds try to stay in long grass or at least in close proximity of bushes, to be able to flee in case of danger. 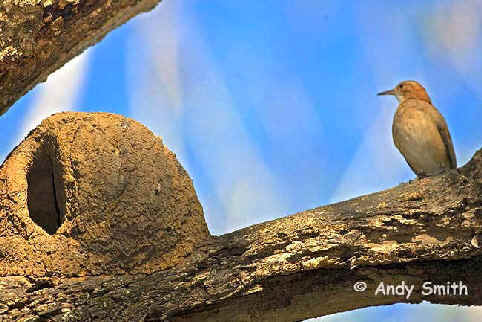 The real mystery about the Red Ovenbird is its nesting habits. It’s hard to examine the nest without destroying it, which is why many things are still unclear for scientists. It is known that the pair constructs the nest during the rain period, possibly because then the clay is wet enough. After finding a proper place, the birds first make a deep clay “bowl”. When it’s dry, they continue constructing, adding layers of clay on the sides until only a small, round entrance is left open. After copulation the female lays three to five white eggs. The clay nest provides high temperature, allowing the eggs to hatch in 18-20 days. The parents feed them multiple times a day and in 18 days the young Ovenbirds can already fly, although they don’t leave the nest until they’re 2-3 months old. 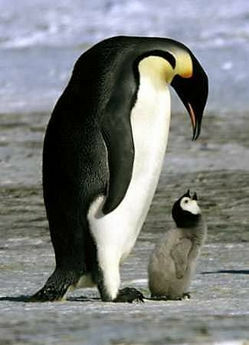 The total life expectancy of these birds is unknown, as well as the age at which they reach sexual maturity.